It always makes me the same effect. Do you know when you look at a place and feel a vibration that touches your heart? There is no need to go to look for something unique and peculiar, new and shocking, because it warns you looking at a house, the shape of a window, the color of the stone, the road signs, the colourful coating of a shop window. It always gives me the same effect when I leave the airport and start looking around. The feeling is a bit of a return home after a long time. And last time I realized that this pounding now I do not alone London, or England in general: Dear Scotland, I can say, you have torn down any boundary of the geography of my passion. I am experiencing the longest stage of falling in love of my life, now it is clear, that it started even before that summer in Brighton, 1996. The sky above Dundee is grey but I wasn’t expecting anything different. I slept in a beautiful place and in one of those beds so fluffy that you wake up with the feeling of having spent the night on a cloud, or a wad of batting. 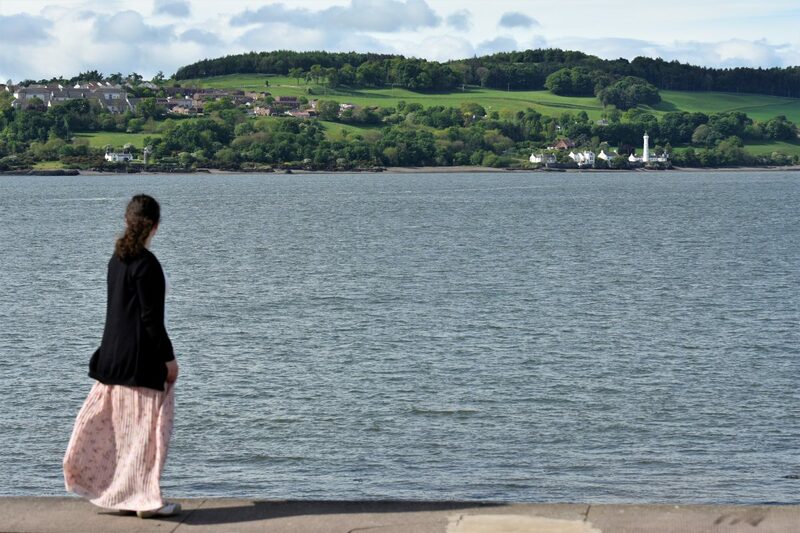 The air is sparkling and the English breakfast magnificently plentiful, served in a room from the large windows that overlook the River Tay and dozens of porcelain teapots for chandeliers. I am already happy like that. Later, when the clouds leave space to a turquoise sky, I will be even more. 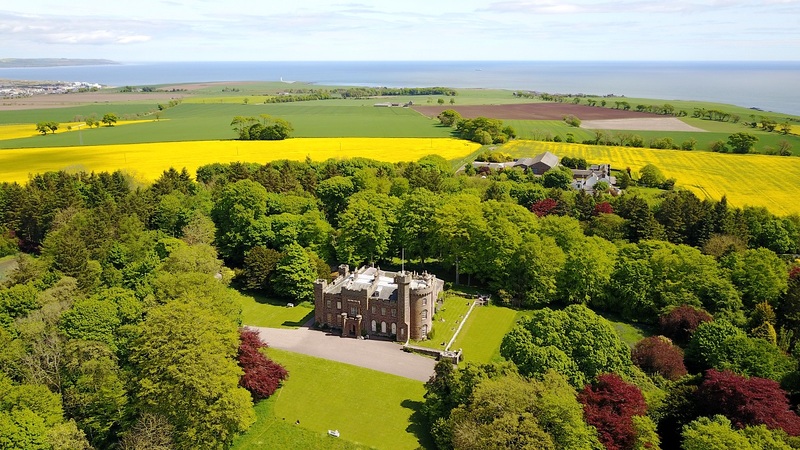 We get in the car, it’s time to start the journey: from Dundee in Aberdeen, following the coast line, in a succession of castles and forts about 140 kilometers long. Travelling from Dundee to Aberdeen: all our stops. 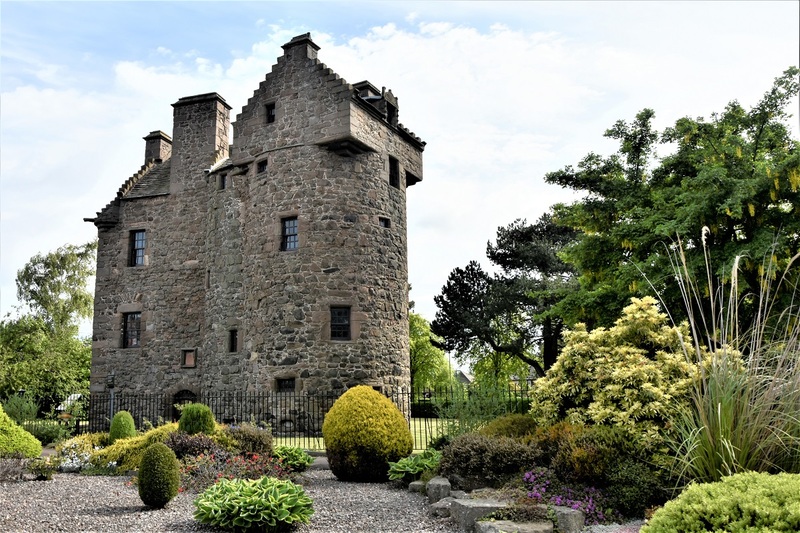 Claypotts Castle: A castle with modest dimensions but a rugged appearance, dating back to the second half of the 1500, which is now practically in the middle of Broughty Ferry, a residential suburb of Dundee. The entrance in the surrounding courtyard is free and possible 365 days a year, the interior is only to be visited by reservation. Broughty Ferry Castle It is the fort of the 15th century dominating the estuary of Tay. Inside it houses a historical-naturalistic museum and the entrance is free. Dunninald Castle It was released in its final version in 1824, by architect James Gillespie Graham, in Gothic Revival style. The entrance to the gardens is free – just before you reach the building you will encounter a letterbox where you can leave a donation suggested of 4 pounds and take a free map of the property. The interiors, however, can be visited by taking part in a paid afternoon tour. The surrounding park, coloured by endless expanses of hyacinths and daffodils, whose driveways are covered by carpets of small daisies, has almost a wild appearance – not for nothing is called Wild Garden – but it is actually cared for in the smallest detail by the hands of a skilled gardener. Intrigued by the buzz of our drone around the castle, a slender and delicate old lady, followed by a lively Jack Russell – who has not thought twice to take advantage of my moment of distraction to throw a nice lick on my lips – has approached to exchange two chatter. A few minutes later, after wandering his search, he introduced us to the husband, to whom he asked to give us the email address to have a copy of the photo that we had taken from above. While we continue to tell him what our itinerary in Scotland will be, I keep an eye on her and I see the lady caring after the sheets stretched on a wire tied between two trees. Only once I came home and have sent that email with the photo, I’d find that I had known Jonathan e Rosalinde Stansfeld. 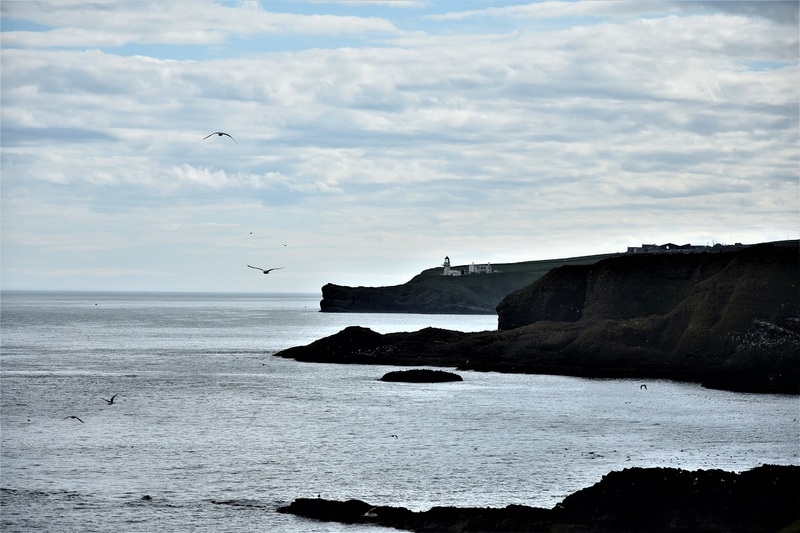 Scurdie Ness It is the promontory, in the village of Ferryden, on which stands the homonymous lighthouse built in 1870. 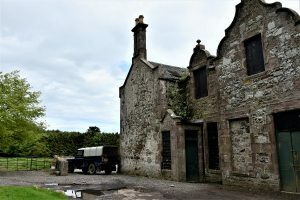 The cottages around the lighthouse were inhabited by the Lighthouse manager and his assistant – and their families – until 1987, when the light was automated: Today they are the property of a private person who transformed them into a holiday home. A pedestrian street leads to the foot of the lighthouse, where seals, dolphins and even whales can be spotted. Unfortunately, we were not so lucky. Ecclesgreig Castle It was probably the biggest disappointment of the trip, nay not, the only one. I had pinned the name of this castle after seeing Some photos And having read that is the place to which it was inspired Dracula by Bram Stoker, although this statement is not documented and someone argues that the writer was inspired instead by the castle of Slains, during his stay in Crudeen Bay. But once we arrived on the spot we realized that the castle lies in complete state of abandonment. We did not reach the grounds and the main façade as there was a Jeep parked in such a way as to be a clear invitation to stay away. Spying literally from the keyhole, we realized that the interior is totally devastated and now wrapped by weeds. From the few information that I have managed to find, it seems that at the moment has not yet arrived the right project to recover it and access to the gardens is allowed only a few times a year: During the Snodrop Festival in March and June 21. Crawton It was a fishing village that was definitively abandoned in 1927 following the low fish of the surrounding sea. Today are still visible some ruins of 23 cottages that constituted it but the real reason to reach it is the nature reserve of Fowlsheugh, where several trails wind. 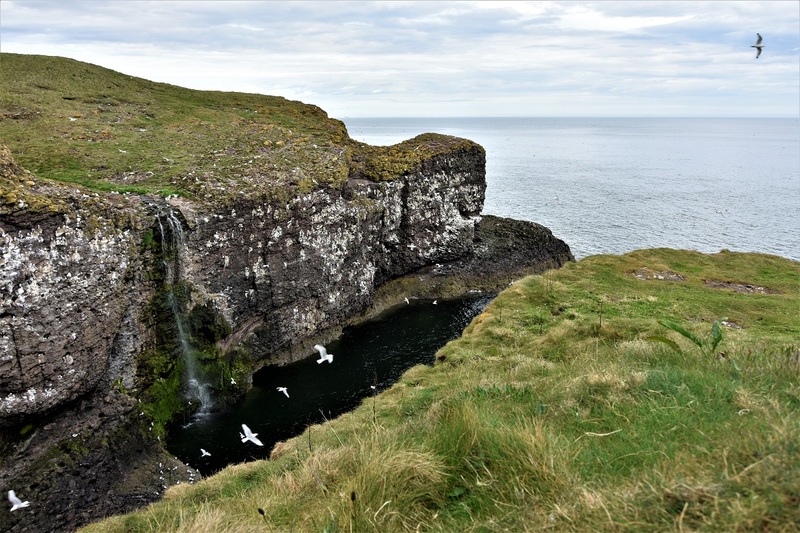 The photos do not do justice to the scenario that appears before the eyes when you reach the edge of the cliff: the gaze ranges along the profile of the cliffs, between lighthouses, waterfalls and gorges where some of the most numerous colonies of seabirds are found, from the Urie to the sea puffins. In the air, it is a continuous, deafening circling of seagulls. But this video It can help you get an idea. To reach the point where you can see the waterfall of the photo, you have to leave behind the first access to the cliff – signposted with an informative panel placed on a pile of stones – and continue until the second gate near the largest gates that bar the main road. Less than 5 kilometres from Crawton, always following the coastal road, you will find the Dunnottar Castle.